This is a community-recommended list of professionals who assess for dyslexia. If you would like to share your experience with dyslexia assessment, please take a brief survey HERE. These individuals are either self-recommended or recommended by a member of the Dyslexic Advantage community. Dyslexic Advantage does not investigate or endorse any of these individuals. A listing is shared here in order to help your research. Last updated November 11, 2017. Please bear with us as we continue to add recommendations below. Mrs. William’s written narrative sections of each report explains clearly what was tested in that section, the name of the test, the scores obtained and what those scores mean for the child. The summary and recommendations sections are wonderful, and each parent leaves with an idea of what to do with the information given. From: a parent or other family member. Sandy. Melissa Hannah. North Little Rock AR 72118. Category of Tests: Phonological awareness, reading, writing, spelling, working memory. Accommodations Obtained After Testing: 1.5x Time. This assessment helped us…understand strengths and challenges, get accommodations in college. Being a dyslexia interventionist, I was very aware and recognized my granddaughter’s weaknesses as well as her strengths. We began her intervention in second grade. She had limited struggles during high school. However, entering a community college’s nursing program has challenged her. Her weaknesses of slow processing and rapid recall have made the large amounts of reading difficult. She did not have an official “diagnosis” until she finally relented to testing this past December. She just maintained the attitude her grandmother “thought” she was dyslexic! But now she is a believer, and is therefore more determined to become a registered nurse, her dream career. Ages: Middle and high school. Category of Tests: Phonological awareness, attention, reading, writing, spelling, working memory. This assessment helped us…understand strengths and challenges, accommodations for K-12 school, college, standardized tests, work. From: a professional (certified Barton tutor). Victoria. Ages:PreK through 6, Middle and High School, College Entrance. From: a parent or other family member. Terrie. Ages: PreK through 6, Middle and High School, College Entrance. Accommodations Obtained After Testing: Option to dictate work, write in test booklet, note-taker. This assessment helped us… understand challenges, strengths, get accommodations K-12 school and standardized tests. From a parent or other family member who is also a teacher. Kim. Ages: PreK-6, Middle and High School, College Entrance, College and Adult, Workplace. Category of Tests: Comprehensive testing. Report that supported accommodations at school and for standardized tests. Discussion of Strengths. Costs: Insurance covered costs. Doctor worked with Medicaid, highly unusual! Accommodations Obtained After Testing: Our State does not “recognize” dyslexia and therefore will not accommodate it specifically. Even with this formal evaluation they only mentioned the word dyslexia in “parent concerns” portion of the IEP. However they addressed each individual area as it’s own “problem”. They placed my daughter in a SLD full day special education classroom to address her “Language Deficit”. Instead we used our state’s SB10 Funds to place her in a Private school that specialized in dyslexia and even though they do not follow an IEP per se, they do work their own version of one for my daughter addressing her specific needs. She is thriving! Now we are having our son evaluated by Dr. Perleberg because we believe him to be Dyslexic even though he is an “A” student. I noticed an issue with his spelling and Dr. Perleberg agreed. She is working the insurance process to get him approved for testing. This assessment helped us...understand strengths and challenges, get accommodations for K-12 school and standardized tests. This assessment helped us… accommodations for work, K-12 school, standardized tests, understand strengths and challenges. Dr. Mantini at this office is great. My daughter enjoyed the time she spent with him. His conference with us was very thorough and he allowed plenty of time for us to ask all of our questions. His written report was excellent and did include the wording “…consistent with dyslexia” under diagnostic code F81.0 for those schools who really need it spelled out for them (because they are dense, bless their hearts). Ages: PreK-6, Middle and High School, College Entrance. I give comprehensive language and literacy evaluations and am able to assign DSM codes when appropriate. Assessment and thorough report helped us advocate for and gain the appropriate school placement. Our child was 3 grades behind her peers in elementary school. Due to the assessment and our advocacy our child was placed at a private middle school who specializes in teaching kids with LD, today our child is back in public school taking AP History and Honors English and is happy! From a parent or other family member. Category of Tests Comprehensive testing. Report for school accommodations and standardized tests. Accommodations Obtained After Testing Option to dictate work, note-taker, option to type or keyboard, 2x time. Patty provided many accommodations to help my son be successful in the classroom. This assessment helped us…accommodations for standardized tests and K-12 school, understand strengths and challenges. Patty worked with us even after my son was done with his initial evaluation and tutoring services. She always provided helpful guidance and support for me and my son as we navigated our way through school. I highly recommend getting in touch with Patty and discussing options for your child. She was a instrumental part of my son’s educational success. Category of Tests: Comprehensive testing, report to support accommodations at school and standardized tests, discussion of student’s strengths. Attention, working memory, math, spelling, writing, reading, phonological awareness. Accommodations Obtained After Testing 504 Plan reading and math intervention, test read to her, shortened assignments for mastery, extra time, excused to a different room for testing, assignments ahead of time. This assessment helped us… Accommodations for standardized tests and school, strengths and challenges. Most important, helped our daughter feel whole again by allowing her to understand wh she is not at the same place as her peers and know she is not stupid. Minneapolis, MN 55416 phone: 952-920-6377. Ages: PreK-6, middle and high school. Category of Tests: Comprehensive testing for dyslexia, accommodations at school, included strengths. This assessment helped us…understand strengths and challenges, accommodations for K-12 school, college, standardized tests, and work. his team of diagnosticians has approximately 30 years of experience in special education classroom teaching and testing, as well as a licensed Speech and Language Pathologist.We have worked with Pre-School through young adults. From a parent or other family member. Jane. Ages:PreK-6, Middle and High School, College Entrance, College and Adult. Category of Tests: Comprehensive testing. Report for accommodations at school and for standardized tests. Tests: Phonological awareness, reading writing, spelling, working memory. It’s been a while, but at least some tests included Woodcock Reading Mastery, Revised Test of Work Reading efficiency-2 Standardized reading inventory -2 Wide range achievement test-4 Dyslexia screening test-Jr.
Costs: The cost of screening depend on exactly what you have done. It can be expensive as it’s often not covered by insurance. But the services we received there from diagnosis to tutoring have been so valuable we consider it well worth our investment. Accommodations Obtained After Testing: Time of test determined by instructor; Improve font/special organization of test; allow test to be given by special education teacher; location of test determined by instructor; modify the test format; reduce length of homework assignments; quiet space for testing; instructions for test to be read and explained by the teacher; teacher can read test questions as needed; Math tools for tests (fact chart, number line, calculator); Frequent check on progress of independent work; provide clear and well defined worksheets; use preferential seating; allow for spelling errors; allow additional time to complete work; review, restate and repeat directions for class work; use masking techniques on tests and quizzes to eliminate visual distractions on the page. This assessment helped us… Get accommodations for K-12 school, understand challenges.I give Dr. Selznick and the Cooper Learning Center my highest recommendation! The meeting after the evaluation to learn about findings was very helpful to parents and my daughter. Ages: PreK-6, middle and high school, college entrance, college and adult. Category of Tests: Basic screening and comprehensive testing.Report that supports accommodations at school and standardized testing. Accommodations Obtained After Testing: 2x time. Option to type or keyboard, calculator. I home school and adopted the recommendations given. My student was able to get extra time on an online class. The remainder of the accommodations were done at home during our home educating. Category of Tests: Basic screening, report to support accommodations. Tests: Phonological awareness, reading, writing, spelling, working memory; CTOPP, formal and informal assessments. Accommodations Obtained After Testing: Calculator, formula card, write in test booklet, option to dictate work, note-taker, option to type or keyboard, 1.5x time. Category of Tests: Comprehensive testing. Report supported accommodations at school and standardized tests. Report included student’s strengths. This assessment helped us…Understand challenges and strengths, accommodations for K-12 school and standardized tests. Category of Tests: Comprehensive testing for accommodations at school. From a parent or other family member: Valerie. Category of Tests: attention, working memory, reading, writing, spelling, phonological awareness. Accommodations Obtained After Testing: option to dictate, 1.5x time, auditory support of all books. This assessment helped us…accommodations for standardized tests, college, K-12 school. Understand strengths and challenges. She also did a college reassessment at no cost. Highly recommend her. Dr. Gunne also provides financial payment plans and I refer families who need financial flexibility. She is very thorough and consults far beyond initial testing. This assessment helped us… Accommodations for Work. Accommodations Obtained After Testing None. 1.5 or 2x time, option to type or keyboard, note-taker, calculator, formula card, write in test booklet, option to dictate work. This assessment helped us… understand challenges and strengths, accommodations for K-12 school, college, standardized tests, workplace. You cannot go wrong with Diagnostic Learning Services. The evaluations are spot on! Category of Tests Phonological awareness, Reading, Writing, Spelling, Math, Working Memory, All seven of the CHC model cognitive domains, yielding a strong estimate of the individual’s GIA, or general intellectual ability. Tests: Woodcock Johnson Tests of Achievement, Woodcock Johnson Cognitive Abilities Test , CTOPP – Comprehensive Tests of Phonological Processing , Gray Oral Reading Test , the TOSWFR-2nd edition………Test of Silent Word Reading fluency 2. WJ IV tests of oral language in English and Spanish 3. Woodcock Munoz Language Survey tests in English and Spanish 4. I also give the WJ Bateria, the Spanish language cog & achievement tests that measures the exact constraints of the WJ III. Accommodations Obtained After Testing: strengths and challenges, accommodations for k-12 school and standardized tests. I live in the Dallas/Ft Worth area, and am available to do any assessments in the months of June and July. This assessment helped us…Helped get the schools to acknowledge my children’s Dyslexia and Dysgraphia and begin to admit they did not have the training in multi-sensory interventions to help them. It also got the school to stop telling me to “deal with their attention issues” as ADHD was what the reading teacher believed was their problem. Dr. Mielenz had also done follow up testing for my children and is just wonderful. She was able to really show were their growth was and help us understand how to use their strengths to help build the kids up. I can not give her a stronger recommendation. Spokane WA 99004 [email protected] phone: 509-465-1252. 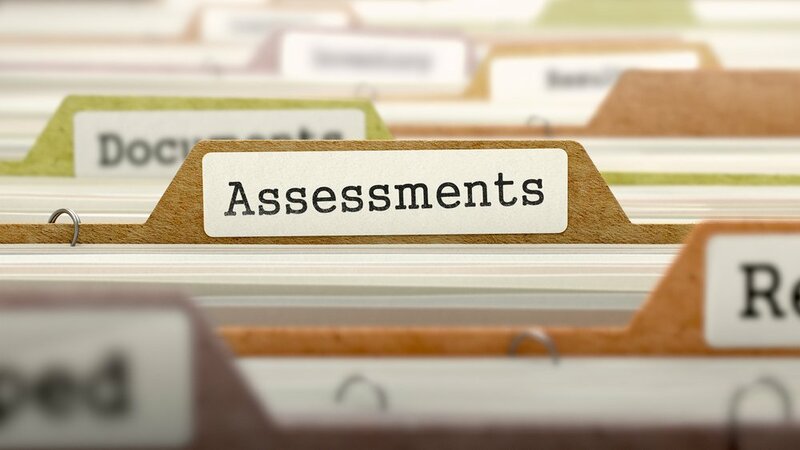 Category of Tests: report identifying strengths, basic and comprehensive screening for dyslexia, report that supported accommodations for school, standardized tests, and workplace. WISC, WAIS, WIAT, CTOPP, Gray Oral Reading, CELF. Tests: Attention, working memory, math, spelling, writing, reading, phonological awareness. Accommodations Obtained After Testing: Option to dictate work, write in test booklet, formula card, calculator, note-taker, option to type or keyboard,1.5-2x Time.